Marcie’s Pet Spa is your pets’ home away from home. Let us pamper your best friend with grooming services, doggie daycare, and overnight boarding! Marcie is the inspirational woman who began Marcie's Pet Spa in 2007. She began grooming in 2004, and hasn't stopped growing since. She started her first small, one-room shop in an alley building in West Salem, and has grown through 3 more shops before landing in her new building in 2015! Her two sons, Nolan and Adam, were the inspiration for building her business to what it is today. Her passion for inspiring people to be their very best, and creating the happiest life possible, has been much of the reason for the amazing growth she's seen in business. She loves grooming all breeds of dogs, but loves even more to talk with each amazing client and staff member that walks through the doors. When she's not grooming and being the best mom possible, you can find her exercising and practicing yoga, or drinking coffee and wine with friends. Daphne was Marcie's Pet Spa's first employee and has been grooming with Marcie since 2010. Daphne is a talented artist at heart, and that carries over to her perfectionist personality when it comes to grooming. She especially loves to groom goldens, shelties, pomeranians, and standard poodles, but she truly loves all dogs. She and her husband, Chris, have three of her own pups at home, as well as three wonderful kids, Elizabeth, Hannah, and Isaac. When Daphne isn't hard at work grooming at Marcie's, she enjoys running, reading, and painting & drawing. In fact, she even free-hand painted all the artwork you see around the Pet Spa, including the beautiful tree in the lobby, and all of the dogs that line the daycare walls. Chelsey graduated from grooming school in 2010. She groomed full time in the Madison area for four years before moving to the La Crosse Area and becoming a Marcie's Pet Spa groomer in 2014. She takes great pride in her grooms and finds joy her clients' happiness. She truly enjoys grooming and working with all breeds, but her two favorite breeds to groom would be Standard Poodles and Schnauzers. She looks forward to building her clientele here at Marcie's Pet Spa and building great relationships with her clients and their furry loved ones! Linda joined the Marcie's Pet Spa grooming team in 2015. 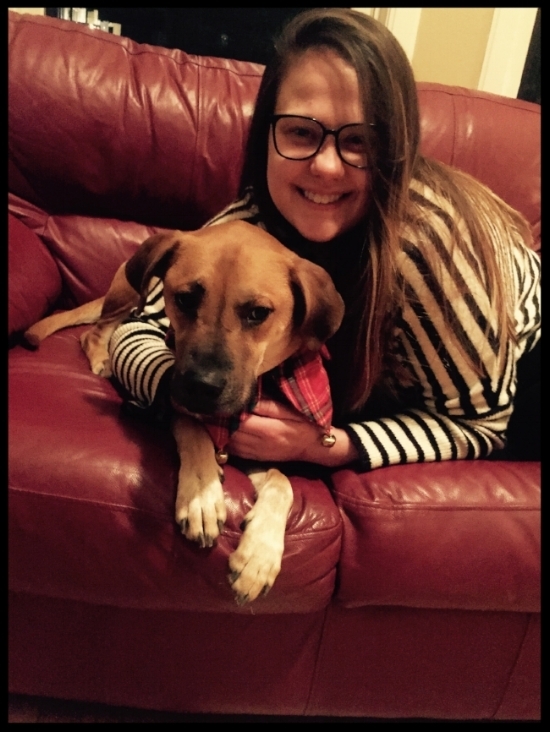 Her passion for animals led her on a 20 year long career path as a veterinary nurse. During that time, she learned the many benefits of proper grooming. She has a very calm, nurturing demeanor, which is especially beneficial for dogs who need a little extra attention, as well as our kitty friends (she is our expert cat groomer here at the Pet Spa). Her and her two kiddos, Zella and Wolfie, live in West Salem with their kitty, Karma and their bird, Cordelia. Mandy started at Marcie's Pet Spa in 2015, a few months before opening the new facility. She started as a part time daycare employee, and has quickly worked her way up to becoming the Boarding & Daycare Manager as well as a Groomer. Her passion for all animals, and her love and dedication to dogs is illustrated daily with the bond she has built with our furry clients. She loves to groom all dogs, but especially the large breeds. 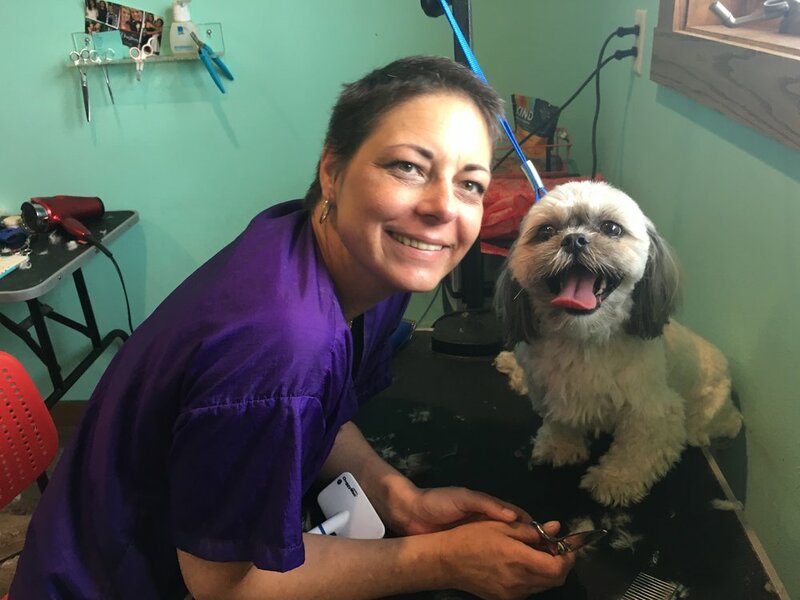 Kelly started at Marcie's Pet Spa after she decided to ditch the corporate world and do something she is truly passionate, which is all animals but especially dogs. After graduating from the University of Iowa (go Hawkeyes! ), she took a leap of faith and moved to South Florida where she resided for nearly five years working at a Marketing Research firm. She grew up in the La Crosse area, and recently moved back to be closer to family. She loves being greeted every day by wagging tails and being able to spend every day with our four legged friends at the Spa. She currently fosters dogs, and has recently adopted one of her foster pups, Murphy. She has not met a dog she doesn't like, but she especially loves to groom large breeds. Tracy has been grooming with the Pet Spa since 2016. She was living in Montana where she worked as a Veterinary Technician for over 10 years. She is originally from West Salem, and moved back in 2016 to be closer to her daughter, Jade, and 3 grandsons, Liam, Ryker, and Korbin. Tracy also has a son, Jacob, who lives in Colorado. Tracy has 2 dogs, Blue, a heeler, and Bailey, a labradoodle she rescued in 2017. She loves to connect to her clients, and loves to groom all dogs, but has a special place in her heart for doodles:)!